Every voice counts. Make yours heard. Take action now! 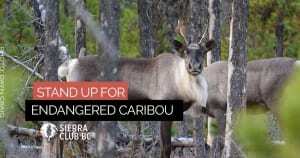 SAVE ENDANGERED CARIBOU FROM EXTINCTION. Right now, a new Partnership Agreement between Indigenous Nations and the federal and provincial governments will see hundreds of thousands of hectares of caribou habitat permanently protected. Please have your say to support caribou recovery. 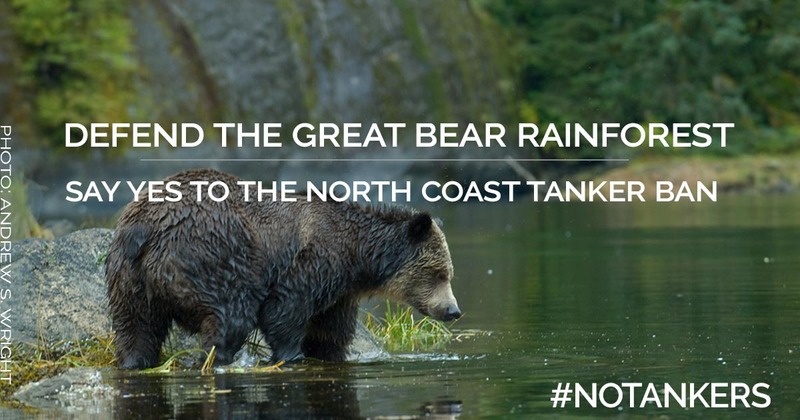 SAY YES TO A TANKER BAN IN THE GREAT BEAR RAINFOREST. 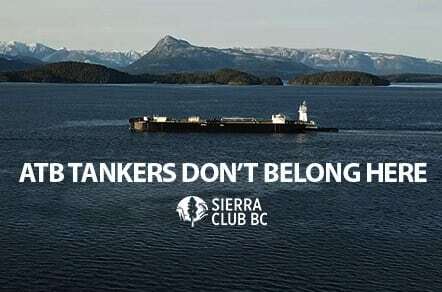 Right now, oil industry lobbyists are trying to kill Bill C-48, a proposed oil tanker ban in the Great Bear Rainforest. 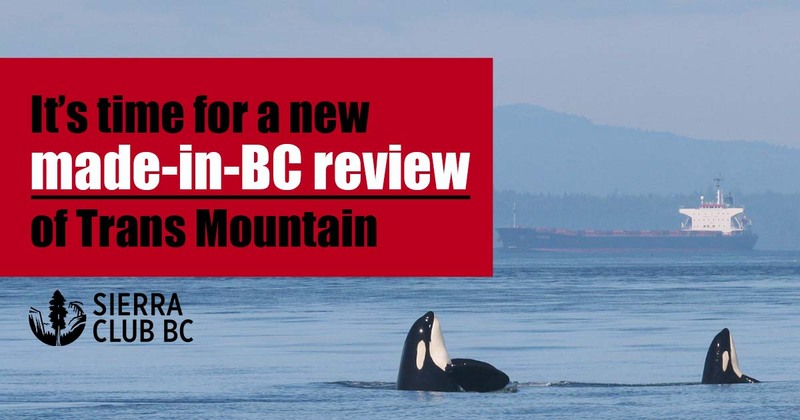 Call your MLA to defend the north coast from oil tankers. SAY NO TO NEW COAL MINES IN THE ELK VALLEY. Teck Resources is relentlessly extracting coal and contaminating river systems with toxic selenium pollution. 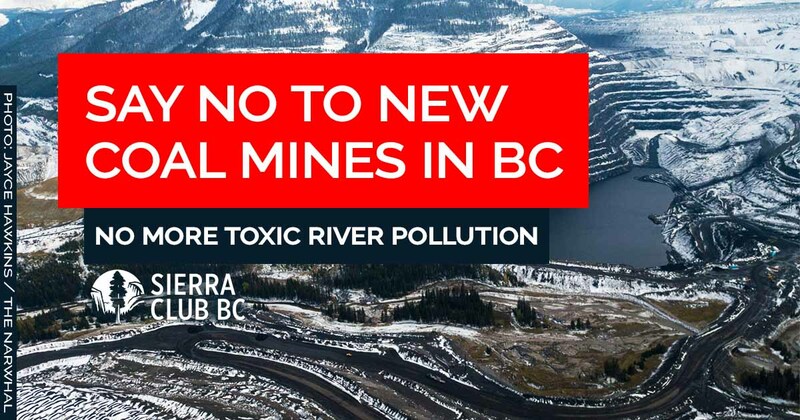 Please tell the BC government you expect no coal mining expansion in the Elk Valley until pollution is brought under control. 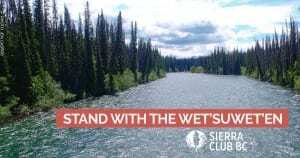 STAND WITH THE WET’SUWET’EN. Call on our governments to respect Indigenous rights and title, revoke permits and stop pushing the Coastal Gaslink fossil fuel pipeline. TELL PREMIER HORGAN: USE ALL THE TOOLS IN YOUR TOOLBOX TO STOP TRANS MOUNTAIN! It’s time for a new made-in-BC review of Trans Mountain. 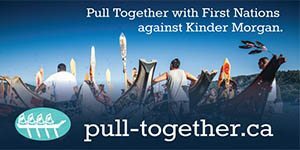 Please tell the BC government to stop fighting First Nations, cancel its environmental certificate for this dirty tar sands pipeline, and do an environmental review under a new process the public can trust. PLEASE TELL PREMIER HORGAN YOU WANT REAL CLIMATE LEADERSHIP – NOT LNG! The most recent report of the Intergovernmental Panel on Climate Change outlines the stark choice facing us all: zero emissions by 2050 or catastrophic climate change. TELL SENATORS TO PASS BILL C-69. Don’t let senators be misled by the oil and gas industry. Bill c-69 will help protect future generations of Canadians. Canada’s environmental laws need your help, send your message now! Call on Canada’s transport authorities to stop giving dangerous ATB oil tankers a free pass. These dangerous shipments of oil and volatile chemicals are putting BC’s entire coastline at risk right now. 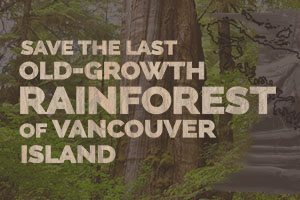 Tell BC’s forests minister: Save Vancouver Island’s last endangered old-growth rainforest! Three square metres every second—this is the rate at which the last rare ancient trees on Vancouver Island are being cut. Tell Forests Minister Doug Donaldson you support an Old-Growth Protection Act and a halt to logging in critical hotspots. 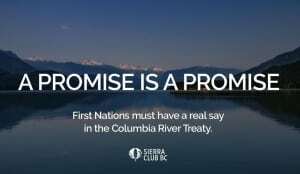 Call on our governments to stop excluding First Nations from the Columbia River Treaty negotiations! To address the injustices caused by the Treaty, First Nations must have a real say as direct participants in today’s negotiations. STAND WITH INDIGENOUS PEOPLES AGAINST TRANS MOUNTAIN. Trans Mountain threatens water, wildlife, communities and our climate. Pledge to back First Nations who are committing to stopping this pipeline and tankers from ever being built. 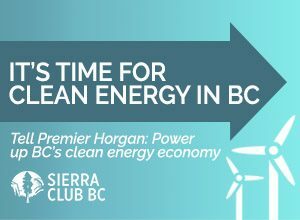 Tell Premier Horgan: Power up BC’s clean energy economy! How much money are you spending to subsidize the fossil fuel industry? Call on Premier Horgan and BC’s environment and energy ministers to keep their promise to move BC toward a green economy with well-paying jobs across the province – and stop subsidizing fossil fuels. Call on Prime Minister Trudeau to halt Site C dam. 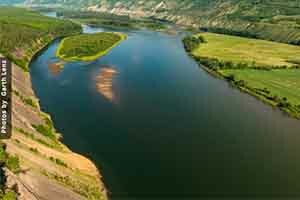 UNESCO has strongly criticized Canada for failing to protect a UNESCO World Heritage Site from the impacts of the Site C dam. Send a letter calling for a halt to construction while the federal government assesses the potential impacts on Wood Buffalo National Park. Writing to your political representatives can be an effective way to take action on environmental issues. Find your BC provincial and federal elected officials. Our work depends on volunteers. We can always use help with things like canvassing, organizing and promoting events and data entry. Volunteer with us! Thank you for taking action for B.C. 's wild spaces and species! If you want to do more, there are lots of easy ways that you can help with urgent conservation issues in British Columbia.